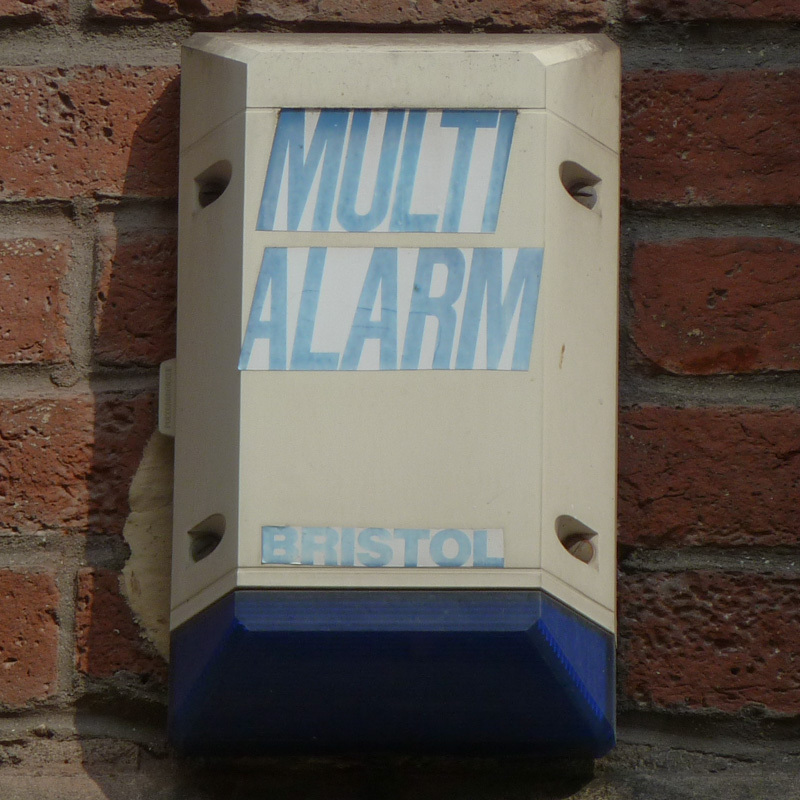 Multi Alarm Bristol, St Nicholas Street, Bristol, Avon, BS1, England, 2011 • Horizontal and v. dirty one here. ADT, Landgate, Rye, East Sussex, 2015 • Looks like a pretty old one. Maze, High Street, Rochester, Kent, 2015 • Good logo, a striking Greek key maze. This blog is about graphic design and has no connection with the companies featured. Most photos are of vintage items, not current products. For up-to-date info on any company, please visit their official website.